The blockchain is the essential part of System ‘Eye’ and Discoperi’s infrastructure. Thereby, its development should receive the most attention to ensure flawless performance of all parts of the device’s functionality. Development of such an essential piece of software is a challenging task for any experienced developers, even those we have at Discoperi, and we are more than glad to be partnering with UNSW. The research team at UNSW’s School of Computer Science and Engineering, led by Associate Professor Salil Kanhere, has been working on several blockchain projects for over 2.5 years and have collected an enormous pool of blockchain knowledge. 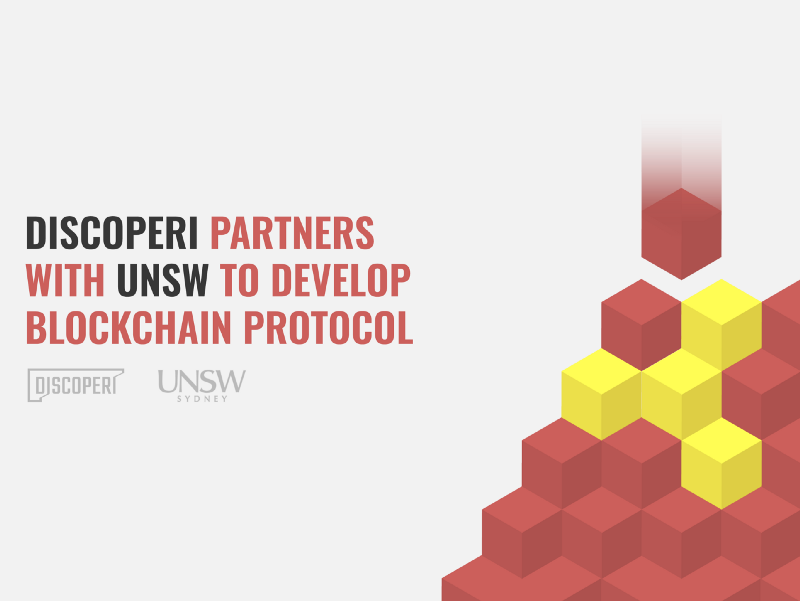 This knowledge, along with the best practices of the UNSW’s blockchain team is now being applied to the development of Discoperi Blockchain Protocol. Our blockchain will be tweaked to perfectly match the strict requirements demanded by System ‘Eye’ and its specifics and will include the industry’s best approaches to the Internet of Things (IoT), pervasive computing, sensor networks, and security. Salil Kanhere, an Associate professor in UNSW, has extensive research experience in these disciplines and has published over 180 peer-reviewed articles and 25 tutorials and keynote talks. He’s also a Senior Member of ACM and a recipient in the Humboldt Research Fellowship. UNSW is ranked #45 in the QS Global World Ranking and is undertaking cutting-edge research in blockchain technologies. Recently, a world-first trial for a cryptocurrency loyalty rewards program was successfully undertaken at UNSW. A blockchain interest group that brings together academics, researchers and practitioners from different disciplines such as computer science, law and business was established at UNSW in 2017 and has been actively running seminars and workshops. We are glad to be partnering with such an open-minded institution and are looking forward to revealing more details on the Discoperi Blockchain Protocol soon.